You can't even figure out how to log in and write your blog!! Apparently, it's been so long since I've updated this thing, I had no idea how to find it myself!!! So much for my techno abilities! It's been a long, hot summer here and I've spent a lot if it just knitting in anticipation of fall!! I've definitely got to figure out how to do links here, so I can show you just some of the amazing new patterns and projects the talents at Ravelry have come up with!! My latest undertaking is in the wonderful world of lace knitting. Having finished one project, I immediately jumped in with both feet to start another. 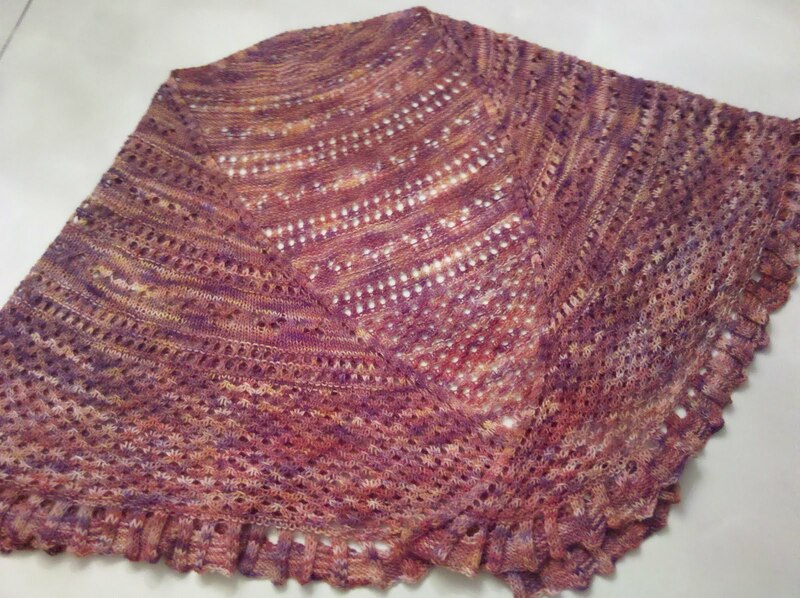 Of course, once on the needles, I realized I had no access to some of the materials I would need. Nor did I understand half the directions!! But, fear not!!! I will forge ahead until it's finished, or mangled beyond the point of recognition! Well, it didn't take much encouragement for me to put this on paper (OK, cyberpaper!). Rule #1: Don't EVER go car shopping with the elderly! Rule #2: Don't EVER go car shopping with your mother! Rule #3: Seek help if you ignore the above rules!!! So it seems that some people do not take well to new technology. I understand that. It would appear to be the foundation of the saying, "you can't teach and old dog a new trick." Probably explains why many people don't text, surf the internet, use bluetooth or embrace other kinds of technology. However, after experiencing the advantages of these growing technologies, even our seniors are utilizing cell phones, computers and the internet to their full advantage. And they are extremely proficient, I might add. My mother does not fall in to this category. Her computer is nothing more than a giant video poker machine, and now it is not even that since lack of simple maintanance has rendered it useless. And, don't bother sending her a text message. She has no idea how to open it. Or to retrieve her voicemail for that matter. But, life can, and does go on without these technological advantages. Which brings me to my current situation. The pressing need to find her a car. And the difference in the cars today compared to the Model T!!! Technological advances have made cars very different in the past 30 years. But, try and convince my mother of that. In all fairness, most of my frustration should be heaped on the dealers. Are you trying to tell me that after selling cars day after day, you have no idea what the car costs??? That it requires no less than 7 trips to your "manager" to get some "numbers??" What is that about?? Do we really look that dumb? But, whereas I would be walking out the door, now I have to convince my mother that it is time to cut our losses. AAAAAAgggghhhhhhhhh!! If she had a collar I'd have dragged her out of there! I mean, how much baloney can you listen to in one day??? Then, there is the issue of "need" vs. "want." Do you really need to have your rear end warmed while waiting for the heat to kick in? Or an engine that will go from 0-60 in 2.5 seconds??? And how can you possibly need XM radio when it took the guy 10 minutes to explain what it was and you still don't get it? OK, I feel better now. I've vented. And I have the day off tomorrow since my poor BIL has been tasked with the job of patiently explaining the fine art of car negotiation. Heck, maybe the experience will lead him to start a blog!!! At least 2010 is off to a relatively quiet start. I've actually gotten a lot of knitting projects done. Let's see, I did another scarf, pair of mittens and a pair of socks. Now have a cowl, scarf and socks on the needles. This hobby is supposed to be relaxing, but sometimes it just seems like more stuff I need to finish!! I'm curious to try felting!! After seeing pics of some magnificent slippers and clogs, I'd love to give it a try. Might have to look into it after I finish what I already started!! Is it really worth it to take a day off?? A whole day without picking up after someone, cleaning up someone's mess, cooking for someone or generally taking care of others! Sounds like a dream come true! Uh huh. Until the nightmare of the day after!! Geez. How can 4 people make such a mess in just 24 hours?? When I signed off just after midnight on New Year's Eve (yeah, exciting life, I know! ), my house was relatively neat (ok, I said NEAT, not CLEAN!). Yet today, Jan. 2, I've got laundry piled over my head, a sink full of dirty dishes, garbage overflowing out of the pail and debris laying everywhere. Now it will probably take me the rest of the weekend to bring some semblance of order back to the chaos. What really fries my cookies is that this is probably all my fault. I've discovered a while back that this family suffers from what sociologists call "the broken window theory." It seems that the deterioration of a neighborhood can often be traced back to the simpleness of a broken window. Picture the perfect town, with the picket fences, beautiful hedges, well kept lawns and homes. No one would think to deface this perfection with litter. Then, imagine a broken window on one of the homes. Not just for a day, but it stays broken. Well, that person obviously doesn't care about his property. So, I'll just toss my empty soda can on his lawn. Wow! Look at that slob. He has a broken window and empty soda cans on his lawn. It's making the neighbors houses look shabby too. So I guess they won't mind if we throw our papers on their lawns. Geez!! Look at this block of houses. Looks like skid row here!! OK You get the picture. Which brings me back to my dilemma. I'm pretty sure this is all my fault since I was lazy and didn't hang up my coat!! Now look!! I've always been told I should write a book, so this seems like a natural first step. Let me introduce myself. My name is Jan and I'm mom to three teens. My life seems to fall in to the category of "this could only happen to you!" I've often been likened to Lucy, but I don't think that's necessarily fair. Lucy would do anything for a laugh (and quite effectively I might add! ), whereas I generally find myself being thrown into situations usually not of my making. I'm also an avid knitter, and hence the birth of this blog. I've been encouraged by others generous enough to share their time, talent, patterns and skill, so I thought I would share as well. I don't have the talent and skill (yet! ), but I figure if I share what I do have (including the mistakes), maybe we can all learn from them! !